Growing up, I hated mushy vegetables. Scratch that – I still hate mushy vegetables. Probably why I have never been a fan of lima beans. Sorry Mom! But seriously, to this day I don’t like cooked carrots which (much to my dismay) are very popular in the South. You can call them cute names like “Copper Pennies” all you want, but I will still only put one or two on my plate (to be polite, of course), chew them as few times as possible, and chase them with something more appealing. Like wine. Soups are the only reason for vegetables to be somewhat mushy. And obviously, I’ll grant a pardon to potatoes because, well, they’re potatoes and I enjoy them in all forms. Now, asparagus to me always used to have that gross texture. You know, when you bit into it and it’s all slimy and stringy? Ick people. However, I now love asparagus. Because I found a way to make it absolutely delectable and non-mushy – and from me to you dear friend, this might be the easiest recipe I ever share with you. So no excuses – it’s healthy and it’s delicious. Make it! 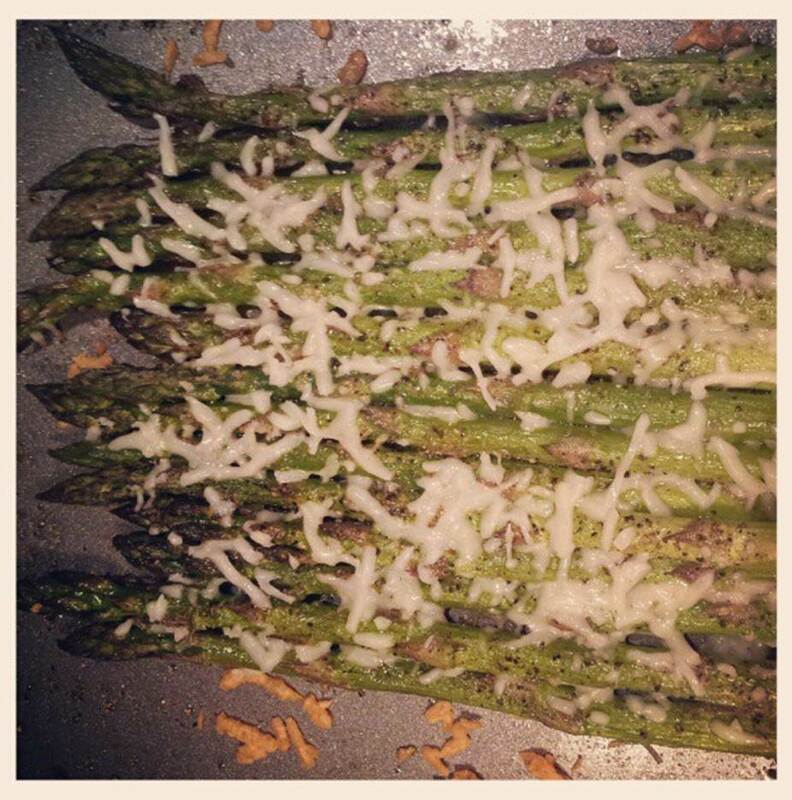 Snip off ends of asparagus (you can usually tell where to trim – it’s lighter in color). 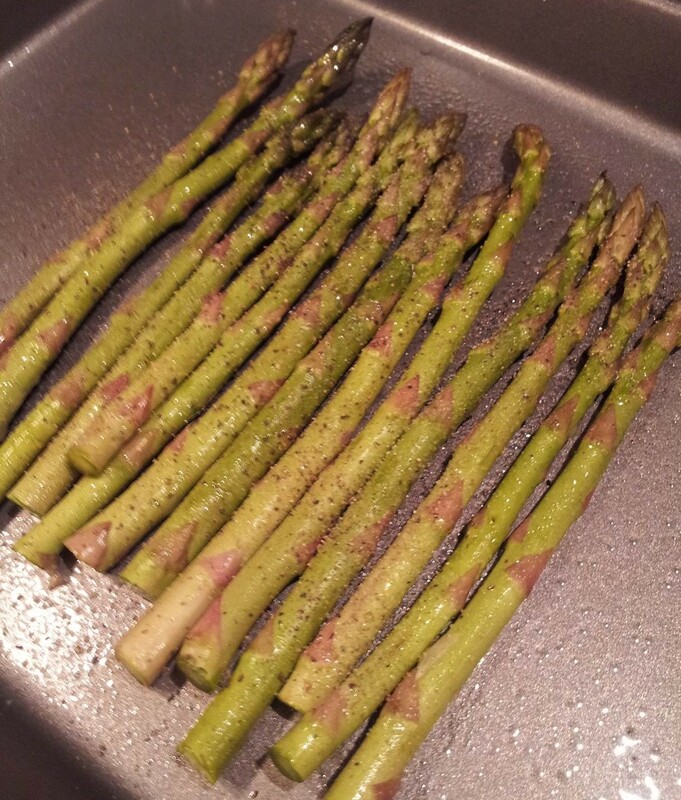 Coat a baking sheet with non-stick spray and arrange asparagus in a side-by-side line. 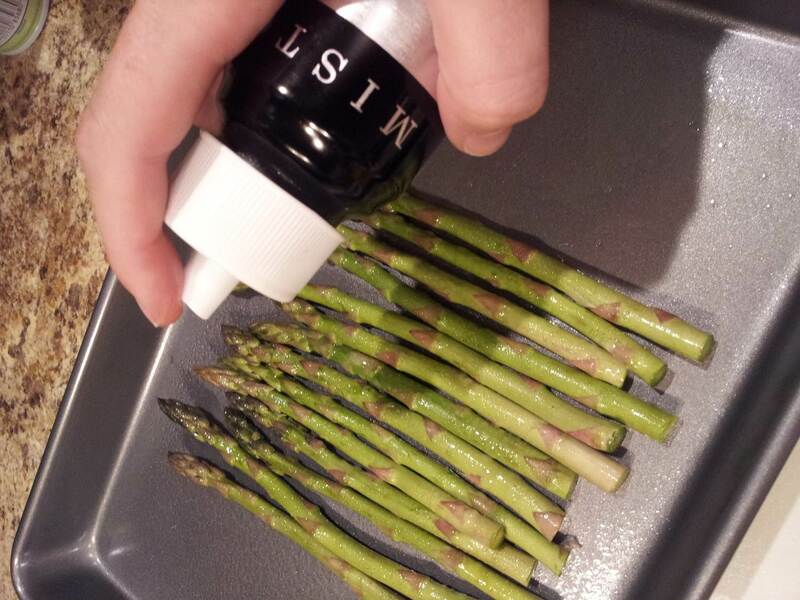 Brush/spray with olive oil to lightly coat. Then sprinkle with salt and pepper. Bake for 15 minutes. 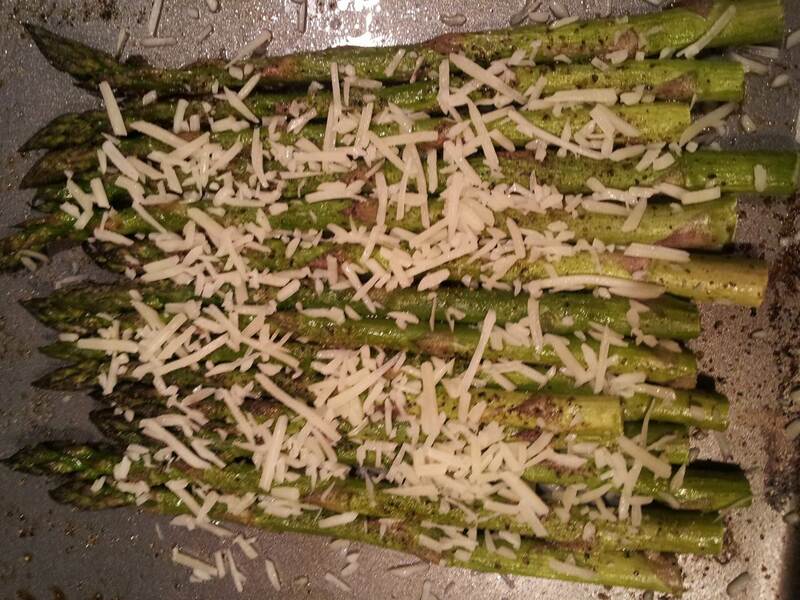 Then remove from oven and sprinkle with Parmesan. Return to oven for an additional 2-3 minutes until cheese has melted. This goes great with anything – it’s amazing with fish or some delicious steaks – so divide, serve and devour! 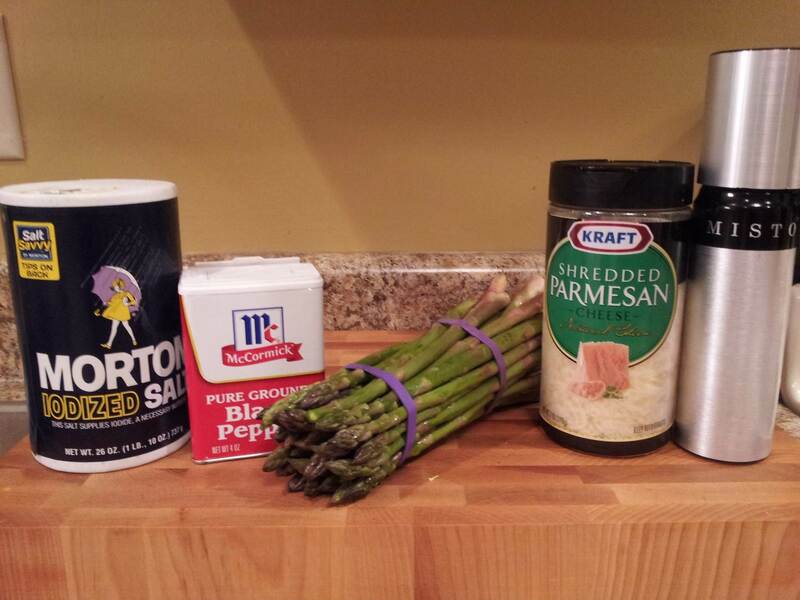 This entry was posted in Side Dishes, Vegetables and tagged Asparagus, Parmesan roasted asparagus, roasted asparagus, roasted vegetables, weight watchers asparagus, weight watchers side dish by cookingonthebrightside. Bookmark the permalink.